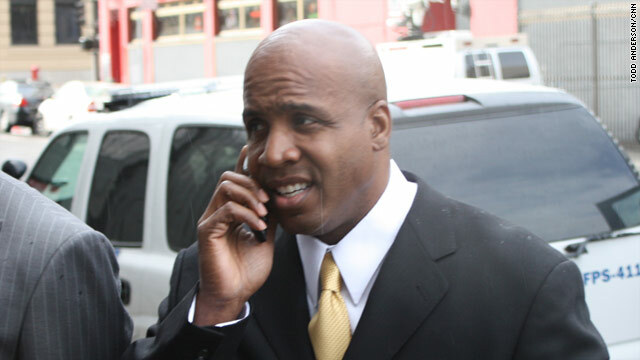 A jury convicted Barry Bonds on one count of obstruction of justice related to an steroid investigation. (CNN) -- A federal judge late Friday rejected former baseball star Barry Bonds' effort to dismiss his criminal conviction on obstruction of justice. San Francisco-based Judge Susan Illston issued a 20-page order also denying a new trial for the disgraced slugger, who holds the all-time home run record. Federal prosecutors had charged him with perjury and misleading statements stemming from a 2003 grand jury appearance related to alleged steroid use. "It is clear from the language of the indictment, as well as from the manner in which the government has proceeded prosecuting this case, that defendant was at risk of being convicted of obstruction of justice on the basis of any and all statements that he made to the grand jury that were evasive, false, or misleading," wrote Illston, in rejecting Bonds' request for dismissal of the conviction. The judge had presided over a half-hour hearing Thursday to consider Bonds' motion. A jury in April convicted the seven-time Most Valuable Player of a single count of obstructing the grand jury probe into illegal use of performance enhancing substances in sports. The jury could not agree on three other charges-- including perjury. Bonds has denied lying on the stand, offering misleading statements and using steroids or other illegal drugs. The Justice Department has not decided whether to retry Bonds on the three outstanding perjury charges. There was no immediate comment from Bonds' attorneys or the government. The case is U.S. v. Bonds (cr-07-732).